Sending Spotify songs to Facebook friends will soon be just a few taps away. Facebook Messenger is hoping to help people talk about music by integrating with Spotify. A new feature in the standalone messaging app lets users post any Spotify song, album, or playlist within a conversation thread. Users must have Spotify installed on their phones, as selecting Spotify under Facebook Messenger’s “More” tab will temporarily open the music app. From there, users select what they want to share and automatically jump back into Messenger. 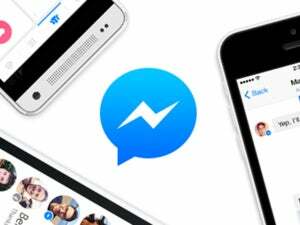 The integration comes amid rumors that Facebook will soon open up Messenger to any third-party app. Unnamed sources recently told MarketingLand that Facebook will announce the feature at its F8 developers conference in April. Collaboration between Facebook and Spotify goes way back. The music service was among the first to adopt Facebook’s “frictionless sharing” system, which automatically plugged users’ listening habits into their friends’ newsfeeds. Facebook also appears as the primary way—and for a time was the only way—to sign up or log into Spotify. Why this matters: Facebook has taken some criticism for forcing people to use Messenger on their phones, but the company has maintained that it can provide a better messaging experience by focusing on a separate app. Integrations with apps like Spotify are an example of how Facebook intends to do that, and if rumors are correct, we should see these types of uses open up in the months ahead.